I love beef tomatoes for making tomato soup. My mother-in-law grows them in her garden and we normally get some whenever she gets a good harvest. Roasted tomatoes make the soup lovely and sweet. Heat the oven to Gas Mark 5. Snip a cross into each tomato. Place the tomatoes and garlic in a single layer in a roasting tray. 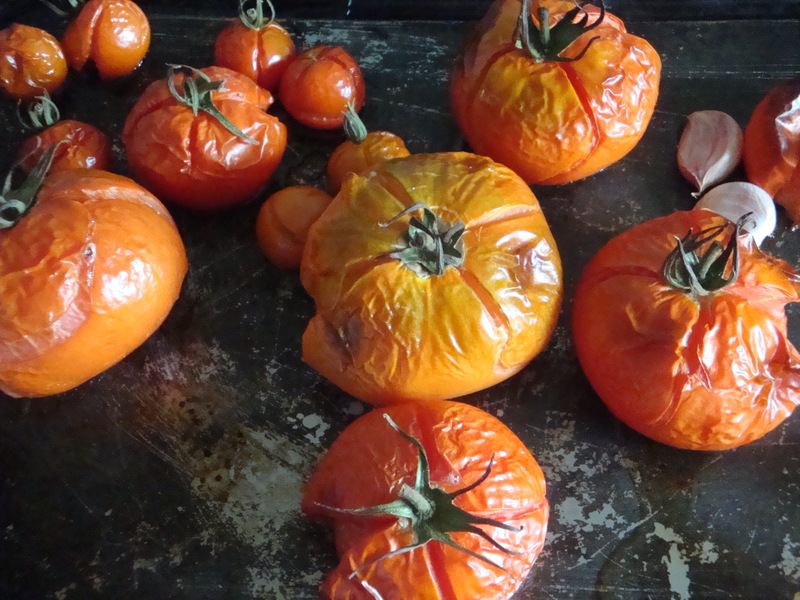 Roast the tomatoes for 20 minutes. When done, peel the tomato skins and chop the tomato flesh roughly. Heat the butter in a deep saucepan. 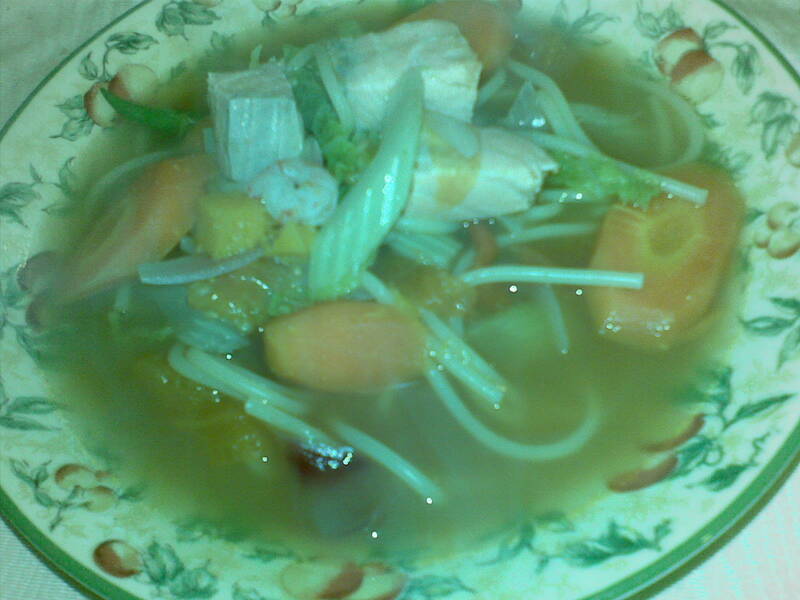 Sweat the chopped onion, apple, celery and carrots gently occasionally stirring until soft. Then add the chopped tomatoes, peeled garlic and the herbs. Add the chicken stock and cover and let simmer gently for 15 minutes. Season and taste. Blitz the soup using a stand mixer. You can serve it as is or if you prefer a smoother soup, run it through a fine sieve. 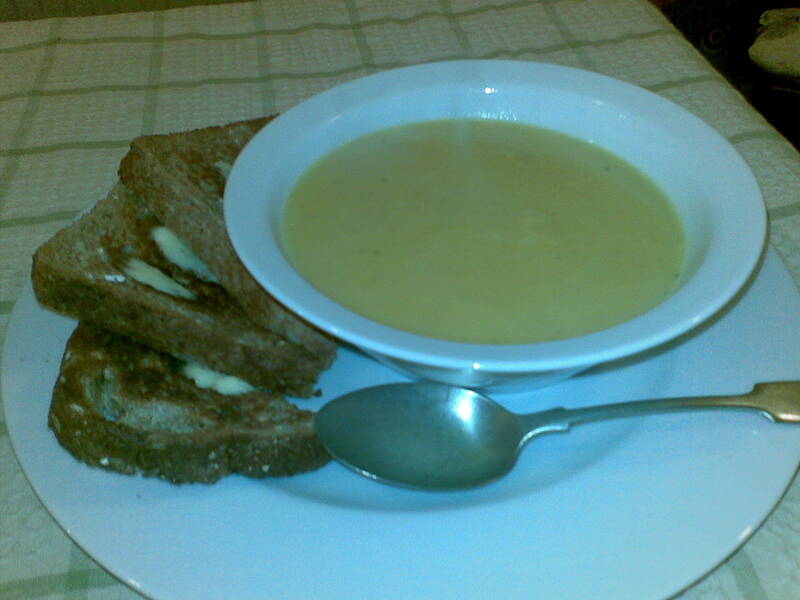 Another soup for the cold winter days. Melt and heat the butter on a moderately low heat. Sweat all the vegetables together until wilted. Add the chicken stock. Season with salt and pepper. Cover and let simmer for 25 minutes or until the vegetables are really soft. Take the pan off the heat and using a hand-held blender blitz until smooth. Check the seasoning again. Serve immediately with buttered warm crusted roll. Ini bukanlah tomyam yang “authentic” sebab selain dari kiub tomyam, Mak Long tak ada bahan wajib untuk tomyam seperti daun ketumbar dan daun limau purut. Tapi Mak Long buatlah juga sebab dah teringin nak makan tomyam. Didihkan air dalam periuk dan masukkan kiub tomyam. Masukkan karot, bawang besar, serai, cili dan spaghetti. Apabila spaghetti kembang, masukkan kobis, ikan dan makanan laut. Didihkan 3-4 mint lagi. Brrrr! Its winter and its cold! 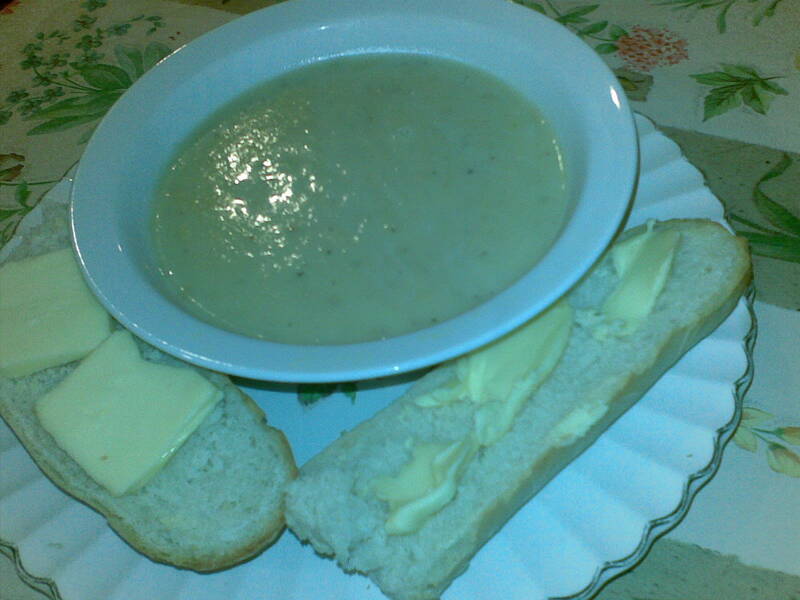 And its the weather for soups. So what have I got for a soup today. Aaahhh, after some rummaging I found some parsnip, half a butternut squash and some potatoes. Great! Here’s what I had for lunch today. In a deep saucepan, melt the butter. Add the onion and stir until soft. Next add all the vegetables, stir and let them sweat for a few minutes. Add the chicken stock, bring to boil and cover. Season with salt and pepper. Let it simmer gently for 20 minutes until the vegetables are tender. 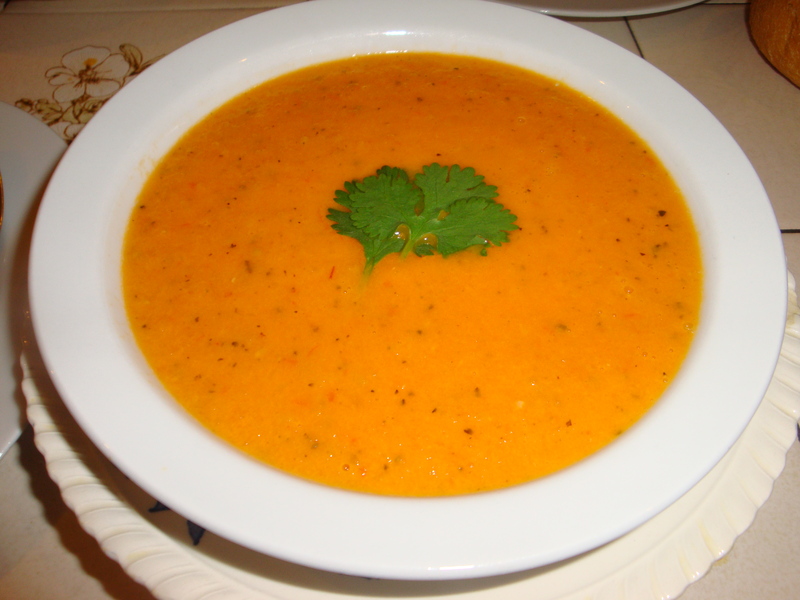 Take the pan off the heat and blend the soup until smooth using a hand-held blender. Put the pan back to heat and add the milk. Check seasoning again. Serve with buttered toast or, better still if you have it, buttered warm crusted roll.